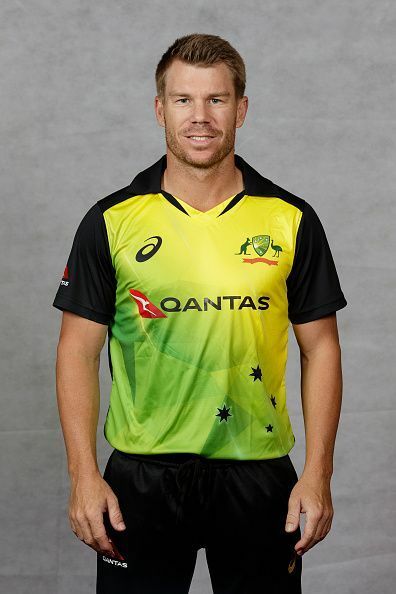 David Warner is an Australian cricketer, born in Paddington, New South Wales on 27 October 1986. He is primarily a left-handed batsman and a right-arm leg-break bowler. He was a part of the 2015 Cricket World Cup winning Australia squad. He became the first player since 1877 to make his debut for Australia without playing a First-Class match. In a record-breaking international T20 debut on 11 January 2009 against South Africa, Warner played a brilliant inning of 89 runs off 64 balls. It included 7 boundaries and 6 sixes. Australia won the match by 52 runs. His stellar form continued and soon he started playing in the ODIs as well. His ODI debut came against South Africa on 18 January 2009 at Hobart, where he got out on just five runs as Australia won the match by 5 runs. Two years after a glorious start to his career, Warner made his Test debut against New Zealand on 1 December 2011. In the second Test match of his career, the 31-year-old carried his bat in the second innings. It was something that legends like Matthew Hayden and Adam Gilchrist could not do in their entire career. This innings shot him to glory and he became a big name in international cricket. This was even more surprising coming from him as he had debuted for Australia as a T20 specialist just two years prior to that. In those two years, Warner had cemented his place in the T20I side with an average of 26.72 in 29 matches including 4 half-centuries. He was one of the players to watch out for in the 2015 ICC Cricket World Cup. Warner scored a mammoth 178 against Afghanistan at Perth. He was made the deputy of Steve Smith just after the World Cup. Warner has been an integral part of the New South Wales Blues since 2007. In county cricket, he has played for Durham and Middlesex clubs in 2009 and 2010 respectively. In 2011-12, he played for the Sydney Thunder and for the Sydney Sixers in 2012-13 in the Big Bash League. In the Indian Premier League, Warner was with Delhi Daredevils from 2009 to 2013. He shifted to the Sunrisers Hyderabad (SRH) in 2014 and was appointed the skipper of the team. 2016 was the turnaround year for him as he was one of the main reasons for SRH winning the title. They continued their form in the next season as well as they qualified for the playoffs again. He is retained by the Sunrisers for the 2018 season. David Warner has 6146 Test runs in 131 matches, 4270 ODI runs in 101 matches and 1696 T20I runs in 65 matches. In the IPL, he has scored 4014 in 114 matches and is the fifth highest run scorer of the tournament.